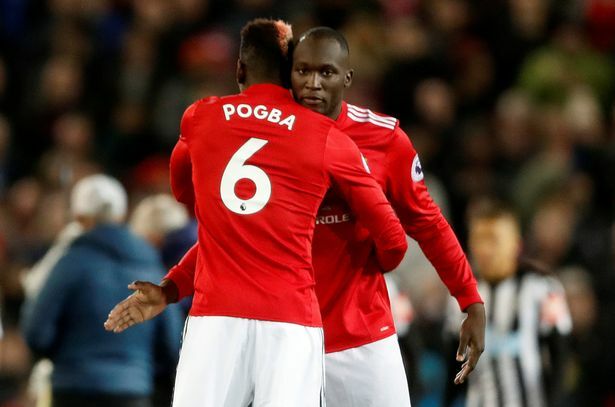 Manchester United midfielder, Paul Pogba, has named his team-mate Romelu Lukaku, as the “best striker in the Premier League”. Lukaku ended his goal drought which lasted seven club games last weekend, as United beat Newcastle 4-1 at Old Trafford. The Belgium international scored in the same game Pogba made his comeback from injury. It was his eighth goal in 12 Premier League games. However, he is only second to Liverpool’s Mohamed Salah in the scoring charts who leads with nine. Alvaro Morata, Sergio Aguero, Gabriel Jesus, Harry Kane and Lukaku all sit joint second with the same tally. “It feels good when you come back and Romelu scores again? I like that, I like that,” Pogba told BBC Sport. “No. We’ve got a lot of good players, a lot of talented players. We have to trust each other.